As a pluralistic country, Malaysia has been known for being multilingual and multi-ethnic. According to The Malaysia Department of Statistic (2011) the majority of the population is Malay/ Bumiputera (67.4%), along with descendants of Chinese for about 24.6% and Indian approximately 7.3%. In addition to the indigenous and the non-citizens, the total population is 31.1 million (The Malaysia Department of Statistic, 2015). As a country colonized by British Empire, Malaysia inherited English as their official language starting in the early 1900s while Malay, Chinese and Tamil were recognized as vernacular languages. During colonialism, British rendered English-medium school in urban areas which were attended by the royal family and rich Chinese and Indians. These schools were established to prepare for a local workforce who would handle and occupy the position in the staff of the administration (Malakolunthu and Rengasamy, 2012). While most Malay in the rural area favored the Islamic-based schools (Pondok), the Chinese and Indian communities also settled their own vernacular-based schools. Due to this condition, the educational system was formed in a various mainstreams based on vernacular languages with English as an additional language. Therefore, the schools existence were recognized as formal institution to promote their native tradition and culture as well as to flourish their identity. Malay language which then is called Bahasa Malaysia gained its status as The Malaysian national language after their independence in 1957. By its recognition in the National Language Act, Malaysian language has become an eminent language throughout the country. As a language that has been spoken by local people and had the most speakers in all over the country, it also has been chosen as tool to unite the nation’s linguistically diverse groups (Heng and Tan, 2006). Even though Malay language was successfully accepted as the national language among the multi-racial population, the Constitution did not claim it as the official language, therefore, English remained in its official role until 1967. For several decades after their independency, Malaysia government implemented several language policies to promote the national language. It impacted not only the educational system, but also the socio-economic environment all over the nation (Le, Kho and Cheng, 2013). In 1957 the government permeated the new system of school which distinguished two types of school. They were national and national-type schools. 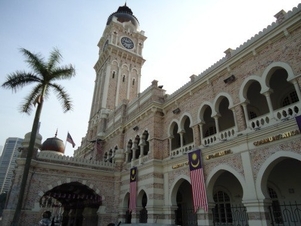 The national school was supported by the government for employing Malay language as the medium of the instruction, while national-type schools were conducted with other vernacular languages including English as the medium of instruction. This policy was limited only for primary education, as for the next level (secondary and higher education), Malay language was used for the medium of instruction. Le Haa, P., Kho, J., & Chng, B. (2013). Nation building, English as an international language, medium of instruction, and language debate: Malaysia and possible ways forward. Journal of International and Comparative Education,2(2), 58. Malakolunthu, S., & Rengasamy, N. C. (2012). Education policies and practices to address cultural diversity in Malaysia: Issues and challenges. Prospects, 42(2), 147-159. The Malaysia Department of Statistic. (2011). Population Distribution and Basic Demographic Characteristic Report 2010. Hendrayani. (2015). Malaysia Language Education Policy. In F. V. Tochon (Ed. ), Language Education Policy Studies (online). Madison, WI: University of Wisconsin—Madison. Retrieved from: http://www.languageeducationpolicy.org (access date).